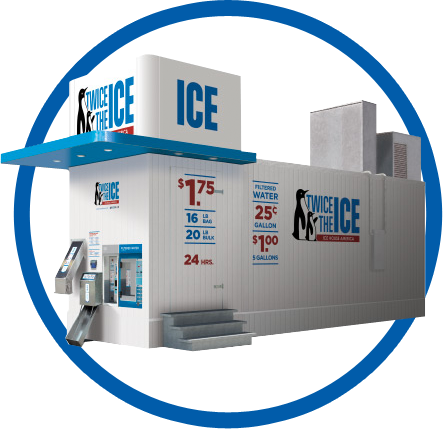 North Carolina Icehouse | Twice the Ice: Fresh, Clean Ice on Demand! Where can you get twice the ice at a lower price? At your local North Carolina Ice House! Don’t settle for pre-bagged ice that could be days or weeks old when you could have fresh ice made right on-site from filtered water. Grab a 16-pound bag or 20 pounds of bulk ice in just seconds! Search from among 180+ Ice Houses in North Carolina for the one nearest you. See how Ice Houses are clean and green and keep people coming back for more. Questions about our ice or our Ice Houses? We’ve got the answers down cold! Where would we be without ice? Watch an Ice House in action! Our animated commercial shows how simple it is to operate an Ice House. Whenever you need fresh, clean ice in a flash, find the nearest Ice House location, pull up with your cooler and a couple of bucks, and you’re in business!